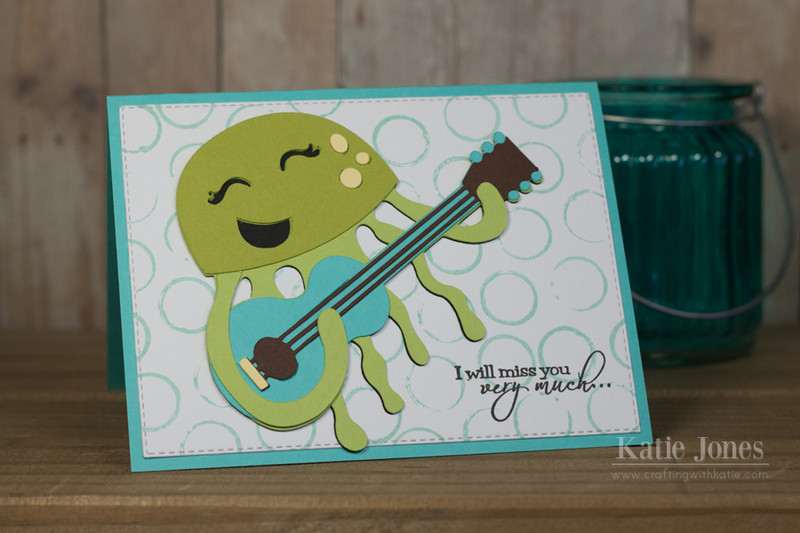 I made this good-bye card for one of my students at the end of the year. His family was moving to Arkansas, so my whole class made cards for him. This funny little jellyfish is from the Cricut Animal Antics cartridge. 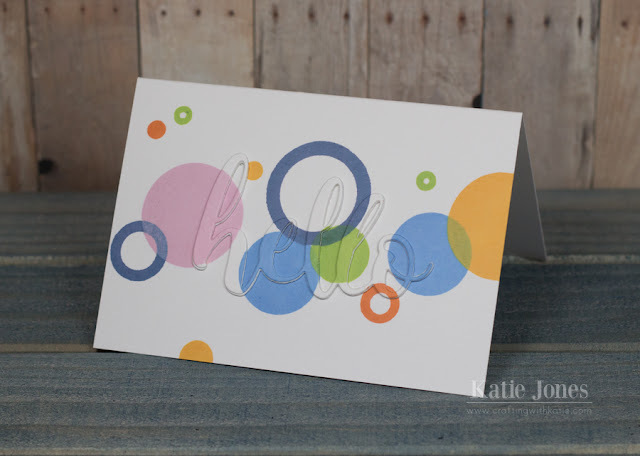 For the background, I stamped the new My Creative Time Fun Polka Dots background stamp onto a rectangle that I cut with a MCT Stitched Rectangular Frame Die. 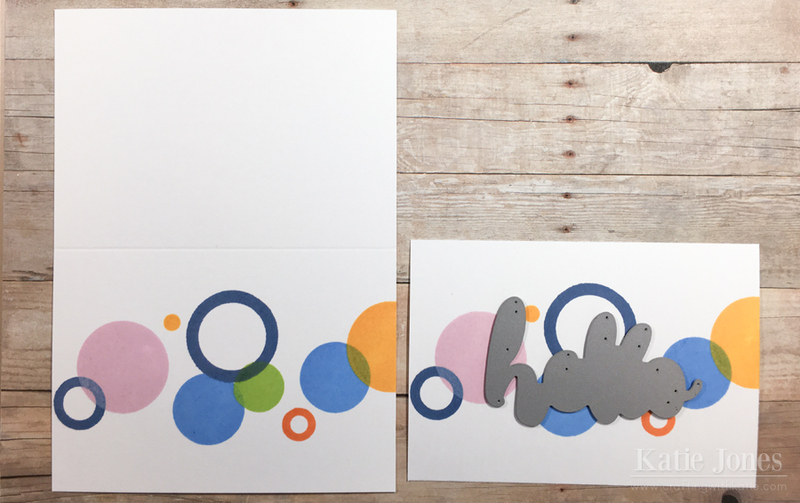 Then I pieced together a sentiment, using part of one from MCT's I Love You Beary Much and part of one from MCT's Lots of Love. 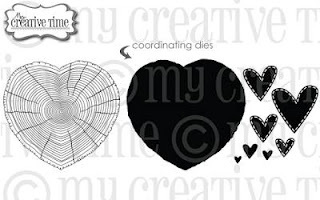 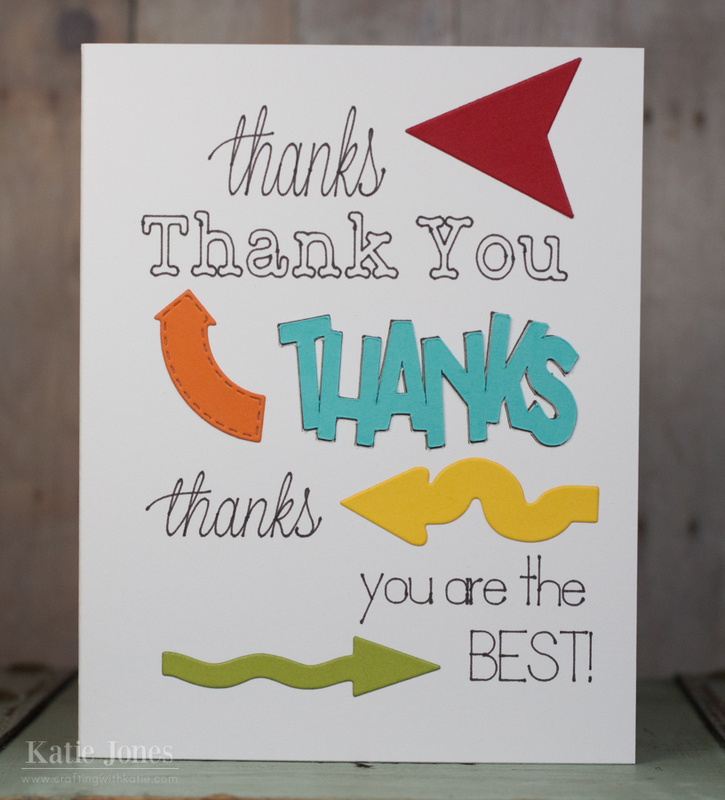 I love the big and bold sentiments on the new My Creative Time Just a Note set! They are perfect for making quick note cards. 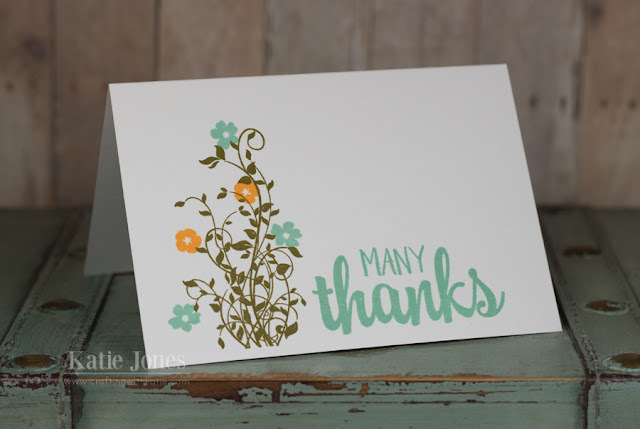 I just added some pretty vines and flowers from the Hello You set on this 3 1/2" x 5" card, and that was it!